JUST IN!!! 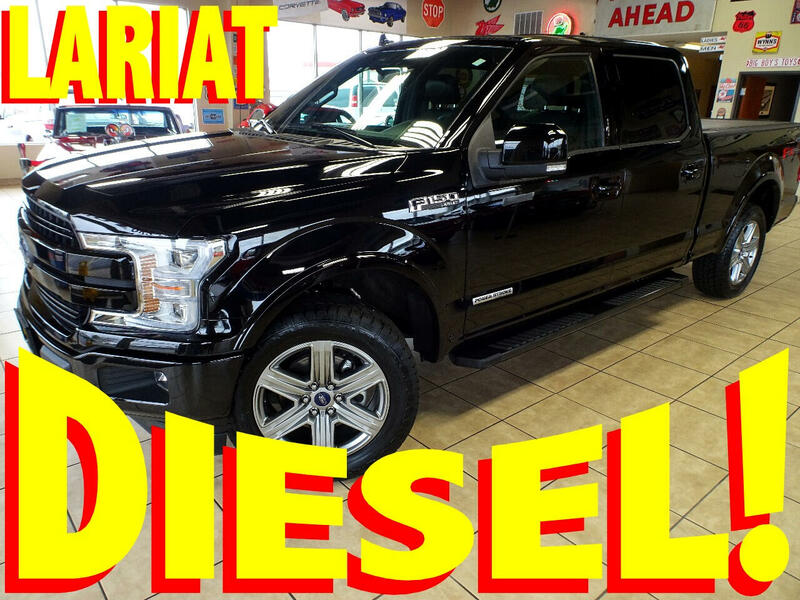 POWERSTROKE DIESEL 2018 FORD F-150 LARIAT!!! WHAT A COOL and RARE TRUCK!!! Be the first one on your block with the ALL NEW DIESEL F-150!!! This is the ABSOLUTE "RIGHT ONE"!!!! Tuxedo Black Exterior, Factory Steps, Factory Bed-Cover, Factory Spray-In Bedliner, Factory Tow Package, Factory 20-Inch Wheels, and MASSIVE GLASS PANORAMIC ROOF!!! This F-150 is a TRUE 1-OWNER that is 100% CARFAX CERTIFIED with ZERO ACCIDENT HISTORY and ZERO ISSUES!!! And with ONLY 16,000 Miles --- this F-150 has a TON of FACTORY WARRANTY REMAINING!!! Keep in Mind; the ORIGINAL WINDOW STICKER WAS $68,000!!! Buy this Truck TODAY for JUST $46,997!!! The interior of this F-150 is finished in TUXEDO BLACK Leather and offers a TON of OPTIONS including LEATHER, POWER SEATS, POWER GLASS PANORAMIC ROOF, HEATED/AC SEATS, NAVIGATION, 360 DEGREE BACK-UP CAMERA, POWER PEDALS, STEERING WHEEL CONTROLS, and Much-MUCH MORE!! This F-150 is powered by the HIGHLY SOUGHT AFTER 3-LITER POWERSTROKE DIESEL ENGINE!!! If you're looking for a TRUCK with FUEL ECONOMY --- this is your truck!!! CALL or EMAIL to be FIRST in LINE on this HARD-2-FIND TRUCK!! !